Many of us have felt the pain of the elevated electric bills that come with the summer heat. As the temperature outside rises, we finally make the decision to turn on our air conditioners. The relief that comes with that blast of cool air is often accompanied by the dreaded hum of electricity. Even with the strides in energy efficiency made in the last decade, we can still plan on paying a hefty sum in utilities on extremely hot days. The problem often isn’t with our air conditioners, but with the way that our homes are made. Many older homes just weren’t made with modern heating and cooling in mind. They have poor insulation, gaps and holes around windows, and the materials aren’t conducive to a sealed environment. 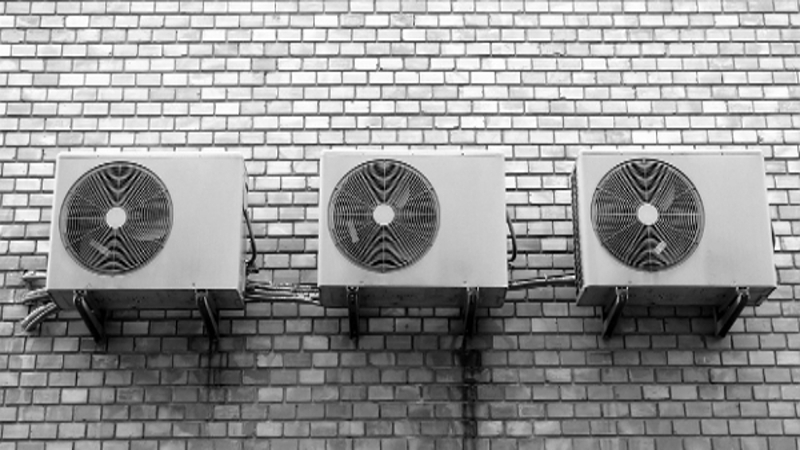 Many people forget that their air conditioner needs mechanical attention until there’s something wrong with it. Calling a professional to come out and perform regular maintenance can save you from having to buy an entirely new unit sooner than you should have to. This really isn’t an expensive service, and can include everything from replacing small and worn out pieces to replacing clogged filters. Regular inspections can also tell you when it may be time to budget for a new cooling system. Like any other heavily used machine- they do wear out! Your thermostat sends the signal to your air conditioner that it needs to kick on, and cool the house. If your thermostat is above a lamp, in the kitchen, or in the bathroom- then the temperature directly around it can cause it to signal to the air conditioner when it doesn’t need to. Even direct sun exposure can raise the temperature of the thermostat. It’s also a good idea to update your thermostat periodically to make sure that your technology is up to date and functioning properly with your system. This involves making changes to your home that allows it to hold the hot and cold air longer. Check your windows and all of your doors. If you can see cracks or feel air flow, then you may need to caulk or fill the open areas. Check all vents and systems that may lead to the outside. These will need filled as well. Using heavy curtains on the windows and shutting doors to unused rooms can help, too. If you are concerned with your home’s energy efficiency and are prepared to take on some very large projects- consider updating your roof and insulation. A well-sealed roof is a great asset when it comes to maintaining the temperature within the home. Insulation refers to the material generally place between the walls to stop the loss of heat and cool air. Without proper insulation, the rest of the measures won’t do much good! It may simply be time to consider a new air conditioning system. There are fantastic new models available that can offer you more options, while saving you money on energy.